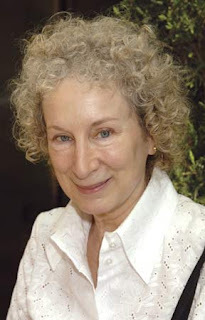 Canadian novelist and poet Margaret Atwood was just announced as the 2007 winner of the Kenyon Review Award for Literary Achievement. More details later. Ellen Bryant Voigt gave the room of Advanced Placement teachers an extra heartbeat of time to take action: to dig into the poem she'd just read to her and reply to her question about what they had heard. And when nobody rose to speak, she rose instead and urged them to never allow their students to be passive in the face of poetry. 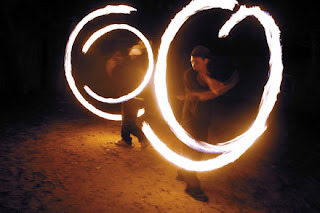 Drawing them fiercely toward her, she gave these top teachers -- the ones who gather at St. Johnsbury Academy each summer for fresh teaching strategies to apply in the most openly competitive American classrooms -- an object lesson in how to light up their classrooms from a blazing torch. "You guys are the teachers, and I figure if each one of you can go away from here and get one kid to love poetry, then we can make a difference in how people see poetry," she reminded them. And she urged them to energize their students around the poems: "A poem is like an onion. But if there's nothing that engages you in the outside layer, you will never reach the inside." 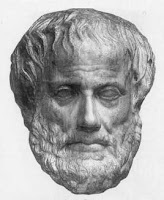 Opening with readings from her varied dramatic sonnets in KYRIE (1995), Voigt explained the three great structures or strategies of writing put forth by Aristotle: (1) dramatic structure, in which two forces compete against one another, in action; (2) narrative structure, a equence of events that occur in time and that have consequence; and (3) lyric structure, which for Aristotle was exemplified by the early (and not at that point plentiful) poems sung to a single strum of the lyre -- and now for Voigt is the structure that's about feeling: "It sits at the center of complex emotional dilemma and sings out of the single strum of the lyre." She added, "Most of what we now think of as poetry is really lyric, because the other two don't do as well with complexity of feeling." Voigt demonstrated with work like her KYRIE piece that begins, "Oh yes I used to pray. I prayed for the baby, / I prayed for my mortal soul as it contracted, / I prayed a gun would happen into my hand. / I prayed the way our nearest neighbors prayed, / head down, hands wrung, knees on the hard floor." Why the sonnet form, with its familiar iambic pentameter and frame of fourteen lines that KYRIE wrestles with in varied twists and angles? "The sonnet is a lyric form that was developed in order to provide compression," Voigt noted. "One of the things it can accomplish is to hold the reader in that moment and not let the reader move." She contrasted the compressed moment with the lengthy passages that unfold into narrative in her collection THE SHADOW OF HEAVEN, illustrating the way narrative outlines the familiar movie in the mind that American readers/students recognize more easily: "Movies, TV, all of that, took over narrative structure, so we're used to that, and we worry less about -- Am I getting it?" Voigt has spoken of her work as hovering along the edge that connects lyric and narrative, and she carried the listeners through "Largesse," from the same collection, to exhbit the lyric purpose of driving deep into the center of a moment so that its emotion can resonate. Her 2007 collection MESSENGER: NEW AND SELECTED POEMS 1976-2006 provides this and much more of her focused work. She'll be reading on Wednesday August 1 at the St. Johnsbury Athenaeum at 7:30 p.m. And so will Michael Collier. Collier, a powerful editor of poetry and collections, as well as author of three of his own books, has been director of the Bread Loaf Writer's Conference since 1995. He is also co-director of the creative writing program at the University of Maryland English Department. Here's a poem from Collier -- whose work with form and with allusions to the classic may be an excellent partner for the evening reading, played against Voigt's. Be sure to arrive early, as seating is limited, and dress for the heat. from bailing twine and straw. the surface of a catchment pond. are you?" but no one knows. Stay where you are, nervous, jittery. let them sound like others. you dull spark of saltpeter and sulfur. Poets Gladding and Budbill Read Tonight, St. J.
Jody Gladding is a translator as well as poet. Her translations from French to English include Sylviane Agacinski’s Time Passing (2003, Columbia University Press), Michel Pastoureau’s The Devil’s Cloth (2001, Columbia University Press), and Pierre Moinot’s As Night Follows Day (2001, Welcome Rain). 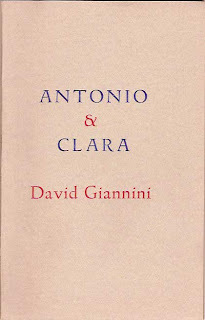 Her translation of Jean Giono’s The Serpent of Stars (Archipelago, 2004) was a finalist for the 2004 French–American Translation Prize. She is the author of Stone Crop, which was the 1993 Yale Younger Poets award winner, and she has also received a Whiting Writers Award in poetry. 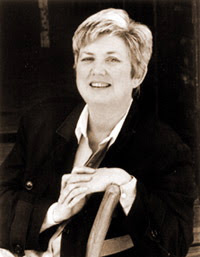 In 2000, Gladding was selected by then Vermont State Poet Ellen Bryant Voigt to participate in a Readers Digest Foundation-funded program called “The Poet Next Door,” working directly with Vermont high school students in person and through an interactive television network. Gladding also teaches in the MFA in Writing Program at Vermont College. Her most recent book is The Moon Rose (Chester Creek Press, 2006), with accompanying woodcuts by Susan Walp. 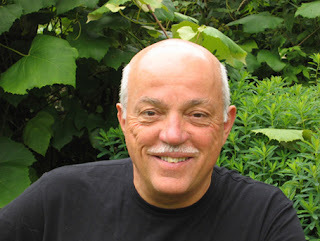 David Budbill long ago achieved a compelling meld of three forces: his New York City jazz roots and musician friends; his back-to-land life on a mountainside outside Hardwick, Vermont; and a fierce attachment to the Zen poets. Sometimes he works a bit of music into his performances (and sometimes a lot!). His web site is worth repeated explorations (www.davidbudbill.com). The reading takes place in the gallery of the St. Johnsbury Athenaeum, on Main Street at the top of Eastern Avenue. Seating is limited, so arrive early -- and prepare for heat and humidity, the room is not air-conditioned. Light refreshments and book signing follow. A public ceremony honoring Ruth Stone, Vermont’s new State Poet (NOT poet laureate -- if you're curious about the distinction, see our web site, www.kingdombks.com), will be held on Thursday, July 26 at 4 pm in the House Chamber of the Vermont State House (115 State Street) in Montpelier. The ceremony will be attended by Governor Douglas and former Vermont State Poets Galway Kinnell, Ellen Bryant Voigt, and Grace Paley. A reception for Ruth Stone will be held in the Cedar Creek Room immediately following the ceremony. When poet and ardent professor Baron Wormser greeted a room full of Advanced Placement teachers last week at St. Johnsbury Academy, he admitted, "I have a lot of teacher karma" -- his mother, uncle, and daughter all teach, and he has worked in classrooms from kindergarten through college, particularly at the University of Maine at Farmington and the Stonecoast MFA program at the University of Southern Maine, which he directs. He also developed a workshop at The Frost Place in Franconia, NH, where high school teachers connect directly with poets for four days. He wants the teachers to know that to a poet, "A poem is not ABOUT someting -- it IS something." Wormser's own text, TEACHING THE ART OF POETRY (written with his colleague David Cappella), opens with the words, "Poetry frightens." He sees his calling as making sure teachers and students lose that fear, and he leads them toward the deep end of the pool through a focus on words. "I teach poetry as an art and the kids respond to it because it's an art ... A poem is a series of very careful word choices. Using Donald Hall's poem "The Names of Horses," Wormser demonstrated the process he's developed: reading the poem aloud and insisting that students write it, as dictated, so they become familiar with the word choices, the punctuation, the line breaks -- all of which they will later question and test. During this, he asks his listeners to keep in mind some word from the poem that surprises them. When those words emerge in discussion, he builds fresh awareness of how physical the nouns, verbs, even adjectives and adverbs are within the poem. From here, he urges expansion from the poem to the world of the listeners/readers. The desire of the naive teacher, Wormser proposes, is "to reduce the poem to a nugget; you get it as small as possible and then it's gone." Instead, he suggests teaching the poem as a pebble landing in water, with ripples that extend outward infinitely. "Art is expansive." Were a balm of sorts. Who pretend to be listening. Is full of human hurt. Fasten something -- a shoe, a pierced disk, a large bead -- to the end of a piece of string or light rope. Raise your arm above your head and start to swing the string in a circle. The weighted end flies outward, pulling against you. And you are the center. Ellen Dudley and F. D. Reeve, reading tonight at the St. Johnsbury Athenaeum at 7:30 p.m., craft narrative poetry that yearns outward in just this way. Dudley's THE GEOGRAPHIC CURE, a lusty and exulting collection reviewed here in March, stretches to Sarajevo, to the American West, to Hawai'i. She braids "wild woman" notions like driving bare-breasted through the dark summer night and seducing foreign strangers with an equally strong sense of commitment to herself and the people she loves. And that's the pull of the string back toward the center. Her homes are in Vermont in the summer, Hawai'i in the winter. She's the founding editor of The Marlboro Review. Reeve has been likewise a founding editor -- of Poetry Review -- and learned while young to extend his reach globally. After early experiences in drama, farm labor, and work on the docks of the Hudson River, he applied himself to the Russian language and literature and spent a year in Moscow and Leningrad as an exchange professor. This key experience would later inform his trip with Robert Frost to Russia; his translations of Russian poetry; his exploration of cultures and imagery; and his own poems, short stories, and novels. Some thirty years ago he chose Vermont as his home, first building a house, then settling into an old farmhouse in Wilmington. and civilly sting like snakes in the hay. In addition, his translations and editorial work have brought much Russian work into closer touch with those who read only English, starting with a volume of Turgenev's short novels, later an anthology of plays, at least two volumes of Russian poetry, and most recently an unabridged version of "Leonid Andreyev's heartbreaking study of terrorist idealistm. A STORY ABOUT SEVEN WHO WERE HANGED" (Reeve's words). one dare not presume to predict. You never can tell. who have made it. Those not in the book are beyond the pale. Not to succeed in you chosen profession is unthinkable. Either you make it or--you’re beyond the pale. "No," he shakes his head. "Are you ready to forage for freedom?" "I mean, why is a cat always shaking his head? all of the selves I have been and will be but am not." he makes his way the way he soon adjusts." out of the ocean, blinking, knowing what I mean." I love myself, I wish I would live well. Your gift of love breaks through my self-defeat. All prizes are blue. No cat admits defeat. The next time that he lives he will live well." The St. Johnsbury Athenaeum (802-748-8291; www.stjathenaeum.org) is on Main Street in St. Johnsbury, Vermont, at the top of Eastern Avenue, and is a fully accessible (and gorgeous) historic landmark. Come early for the 7:30 poetry event; the gallery space is compact and sometimes all the seats are filled. Dress in layers, as the room can get quite warm. And plan to purchase the poetry of these two adventurers after the reading. The poets (sans Nancy, who needed to get home) and AJB publisher April Ossmann joined us at Kingdom Books afterward, to raid the poetry room, share good food (April's an awesome baker), and work on what's next. Looks like Kingdom Books will present an annual AJB salute. The draw of this persistent poetry press has always been the hands-on involvement that it offers to its poets, who take turns serving on the editorial review board that explores some 1,200 manuscripts each year. Of course, in spite of the recent run of poetry news and reviews here, Kingdom Books is a bicameral shop: poetry/fine press, and mysteries. So we also got into talking about the tradition of British mysteries, and then poet Lesle Lewis (you might not have run into her work yet, but the way her poems stand shoulder to shoulder with those of prose poets like Peter Gizzi, James Tate, and Russell Edson will eventually have a lot of us saying "oh, THE Lesle Lewis!") teased, "I bet you don't have the mysteries written by my brother!" Hey, give Dave a challenge in the world of mysteries and he's on it. He demanded to know Lesle's brother's name, and when he heard "Stephen Paul Cohen," he grinned in triumph. Not only does he have two of Cohen's mysteries - he has them in his own personal collection, resolutely Not For Sale. Which only goes to show: Mysteries and Poetry DO belong together, just as close as sister and brother. Matter of fact, as I dug into some reviews of Cohen's mysteries -- Heartless (1986), Island of Steel (1988), and Night Launch (1989) -- I found they had been seen as experimental, edgy, and -- brace for it -- "poetic" in the richness of language and imagery. Poet Philip Levine's gritty portraits of Detroit and other cities have come to epitomize the lives of working-class men. In his autobiography THE BREAD OF TIME, Levine declares that his brothers allowed themselves to be trapped by their middle-class upbringing. Levine's twin had not meant to take this path: "At age fourteen my twin and I vowed we would never participate in the corporate business of this country, a business that appalled us by the brutality of its exploitation of the people we most loved. For me the answer was quite simple to formulate: I became working class." His witty mother used to joke that he had botched the socal experiment, by being born in the middle class, migrating to the lower middle class, and as an adult entering the working class -- "he got it backward," she said. Yet this is parallel to what the ballad poets like Woody Guthrie, then Bob Dyland, Pete Seeger, Arlo Guthrie, Judy Collins, urged the Boomer generation to pursue. Forsake the money machine; embrace the land and the people. When I left college in 1972, the subsequent wave was already arriving there: the students who actually liked the idea of business and wanted MBA degrees. I recall shock and disgust at observing that choice. More recently, I've seen brilliant young people surf the wave of computers, gaming, and the Internet, with many of them straighforwardly declaring they'd pursue available riches through the risky businesses, of design, entrepreneurship, and climbing corporate ladders in sharp new firms where message-bearing T-shirts and chinos with sandals could be the inside-the-shop outfits of upper management. Money is power. What I hear many of them say is, "I'll take the power, too -- I need it to be able to mark out my own territory of revolution." Peggy Sapphire, Craftsbury (Vermont) resident and former editor of the Connecticut River Review (the poetry journal), sends hungry roots into the composted experience of the 1940s and 1950s working class in which she grew up -- and the struggling existence of a woman who'd married "the wrong man" and borne children with him. Her retreat to Vermont brought her relief, grace, and the joy of fresh love. Franco, Jew haters, the KKK, and dead friends. my loving Paul Robeson life, my Free The Rosenbergs life. Pete Seeger, The Weavers and Josh White." Sapphire paints Red Menace, blacklists, the threats of American existence for those who refused to fit smoothly into the American system in the mid 1900s. As a child, she knew frequent moves, intense moments around the radio, warnings about bigots and danger. So she writes vividly of workingmen, of Ruby Dee, and of her Aunt Alice, a Holocaust survivor. Each poem holds a life under a light, and under a microphone, listening to the sounds and the language. The strongest moments in many of Sapphire's poems are when she lets these voices erupt, quirky, diverse, often embedded in italics within the poems' lines. Sapphire's views of her parents' marriage brush lightly against her own struggles. Small windows open into each -- pressing close to them is alluring, to be able to peer around the edges of each frame. Jane Shore offered poems from her newest collection to the Advanced Placement Institute teachers in St. Johnsbury, Vermont, yesterday -- she does this annually as part of her summer stay in Vermont and is always a big hit with the high school teachers, as she invites them into her process and decisions. This time she opened with big news: Houghton Mifflin is publishing the collection in March 2008. Hurrah! Her working title is THE YES-OR-NO ANSWER but she acknowledges that the title is still under discussion with volume editor Michael Collier. Shore's reading included discussion of mother-daughter imagery in her poems, particularly related to her own (Jewish) mother. Reinforcing for the teachers the level of revision she likes to include -- as much as hundreds of versions of a poem -- she noted, "I think revising is like keeping your hand busy while your mind is going deeper." Clearly the favorite poem of the afternoon, and one that could well become an AP favorite for future classrooom discussions and exams, was this one, admittedly about Shore and husband Howard Norman's daughter at age 12.
no double pierces in teh future, is that a deal? each silky hank a flame-tipped paintbrush dipped in dye. I said no to Deadly Nightshade. No to Purple Haze. that glows neon orange under black light. No to Fuschsia Shock. To Black-and-blue. To Pomegranate Punk. I vetoed Virgin Snow. of blood drawn warm from her arm. opening it an hour later, sidling up to me, saying, "Well?" gashed her scalp. But it was only her streack, Vampire Red. Kleenex wadded up like bloodied sanitary napkins. who left behind a mash of petals on trampled soil. Philip Booth, a poet who studied with Robert Frost and belonged to an elite literary circle in Castine, died Monday in Hanover, N.H. He was 81. The cause was complications from Alzheimer’s disease, said his wife, Margaret. Booth’s poetry explored New England themes with a native son’s understanding of the landscape and coastline. The winds, fields, working people and tidal cycles are his subjects. His style is sparse and elegant, a combination of Down East economy and naturalistic rhythms. "After work, splitting birch by the light outside his back door, a man in Maine thinks what his father told him, splitting outside this same back door," he wrote in the poem "A Man in Maine." Although many of Booth’s poems reflected his love of the Northeast and he has been called "Maine’s clearest poetic voice," he was not exclusively thought of as a Maine poet. The genius of his work, said Paul Gray, a retired professor who grew up in Castine, is that it "makes the local place nationally available." Booth was born on Oct. 8, 1925, in Hanover, N.H., where his father was an English professor at Dartmouth College and his mother, a native of Castine, was a housewife. The family, including one sister, Lee, spent summers in Castine, where Booth developed an early aptitude for sailing, and had a boat that, even as a young boy, he was permitted to sail alone. He was also a skilled skier. While serving in the Air Force in World War II, he met his wife, a music student from Macon, Ga., and the two married in 1946. Booth pursued his love of poetry at Dartmouth, where he studied with Frost, and then at Columbia University, where he completed a master’s degree in English. He and Margaret raised three daughters while he taught at Dartmouth, and then at Wellesley College in the 1950s, when his first book of poetry was published. In the 1960s, Booth joined the faculty at Syracuse University, where he founded a graduate program in creative writing. 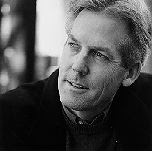 Stephen Dunn, one of his star students at Syracuse, went on to win the 2001 Pulitzer Prize for poetry. "He was a major influence first as a teacher and then as a friend who continued to be a teacher," said Dunn, from his home in Frostburg, Md. "I know I would not have been as exacting and precise as I wished to be had it not been for him. His poetry was the outgrowth of a lived life that, in his Puritan way, constantly took stock. When his poems were good, which they were often, they resonated into all of our lives." During Booth’s long career, he wrote a dozen books, and received Guggenheim, Rockefeller and National Endowment for the Arts fellowships. His work appeared in magazines such as The New Yorker, The Atlantic Monthly and The American Poetry Review. He was also a Fellow of the American Academy of Poets. In the 1980s, the Booths moved to Maine and became year-round residents at his ancestral home where five generations of his family — the Hookes — lived and where he spent summers as a boy. Booth worked in an upstairs room with a view of Main Street and of the home of his next-door neighbor and good friend, the writer Mary McCarthy. The quartet of Booth, McCarthy, Robert Lowell and Elizabeth Hardwick, as well as their heady summer visitors, established a literary reputation for the village. But of the four, only Booth wrote regularly about the area and its people. His poem "Eaton’s Boatyard," which is set in Castine, is well known by summer visitors and locals alike. Although Booth was not born in Maine, an important distinction in some circles, his ancestry and friendly personality won him an indelible place in the hearts of community members. "Phil is really a native son, but more importantly, the breadth of his work comes from here. It so perfectly reflects Castine, but also the region. It’s what we see around us, or what he taught us to see about this place and what we do here," said Dixie Gray, a member of the Castine Historical Society and curator of the town’s summer exhibition "Turning the Page: Writing Castine 1956-2006." 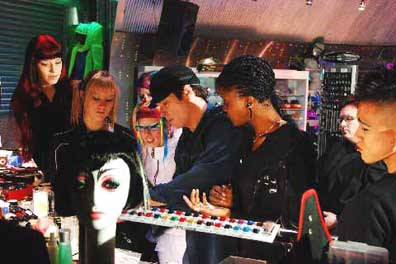 Booth is featured in the show. In 2002, three years after Booth was diagnosed with Alzheimer’s, he and Margaret moved into an assisted living community in Hanover, where his family was with him when he died on Monday. "Castine was the only home that I think he ever felt was his natural place," said Margaret Booth on Monday. "He always wanted to be there. He loved the straightforwardness of the people and their affection toward him." Booth is survived by his wife, Margaret, their three daughters, Margot, of Austin, Texas; Carol, of Amherst, Mass. ; and Robin of Rowe, Mass., as well as his sister, Lee, of Hartland, Vt.
Coastal rain, an iron sky. to row across to the mainland. drive her to Gray for a sticker. Let it wait. There's still time. less wonder. Or bear any more? where anyone opens to feel it. He's a painter first and foremost, and his journals, themselves handmade books, are crammed with watercolor renditions of the landscape of Svalbard. But for Ken Leslie, a professor at Johnson State College, Johnson, Vermont, the movement from images and flat renditions is swift toward a sense of the round earth itself. So it's no surprise that the biggest constructions at his exhibit at the Fairbanks Museum and Planetarium are in circles. One lines the encircling balcony in the Victorian-era building's gallery. It has been about 10 years since Leslie tackled the project, which consists of one painting per day of the sky over Hardwick, Vermont, all linked together to form a year of sky. But he joked that the project had been meant all along for the museum -- the weather program called "An Eye on the Sky" transmits from the museum, and that, said Leslie, is just what he had for an entire year: "I had my eye on the sky!" Most of the exhibit focuses not on Hardwick, though, but on Svalbard, which at 78 degrees north is actually closer to the North Pole than to the Arctic Circle. He visited once in the summer when the sun never sets, and once in the winter when it never rises. "It takes time to see the light in the dark." At 27 degrees Fahrenheit his paint would freeze as he was painting, forming the feathery fern patterns we know from winter windows. They remained in the finished work, branding it as unquestionably Arctic. At lower temperatures, Leslie relied on his "perfect pitch" of color memory, gazing at his surroundings, then running inside to portray them. "Long before I made a book (from this work) I started painting circles," he explained, "because ninety-nine percent of printing is on rectangles and you're carrying an enormous weight of history on your shoulders" if you use rectangle forms. 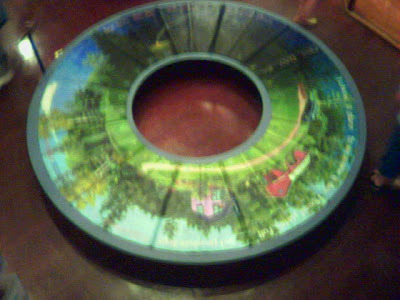 Painting on circles freed him of that weight. Plus, things fall to the center of circles, instead of to the bottom of a page. As Leslie worked, he became increainglu interested in the perimeter of each circle, finally removing their centers entirely to form "donuts." 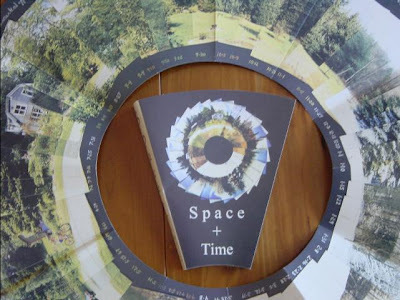 Then, one night, he realized he could fold these toroid shapes into "books" -- and the result was his creation SPACE + TIME. He began to take photos and paint from life, to test his sense of reality. With this, he developed landscapes that moved through time. At Svalbard, he said, "I felt very intrigued by experiencing a sun that doesn't set or that doesn't rise." I chose a place to measure a day. I found plates full, and promises kept. Anger triumphs. Hope is trashed. With no web presence and almost no publicity, Adastra Press of Easthampton, Massachusetts has quietly built a solid reputation for itself as a publisher of short-run, handcrafted limited editions. Gary Metras continues the ancient and virtually lost practice of hand setting type and hand-sewing the gatherings. Independent-minded, they represent the best in small press poetry publishing. Without bluster, grand mission statements, or corporate backing, they continue the slow, serious work of publishing in a world swiftly adapting to strictly digital means of textual reproduction. The last book that we received from Adastra ended with this note: "Production lasted from September to November 2006 as an unusually mild autumn kept trout actively feeding on the printer's favorite dry flies." Simply gorgeous work. A quick scan of our list this year will confirm that Farrar, Straus and Giroux still rules the roost. Under the stewardship of editor Jonathan Galassi, who must have the finest eye and ear (and rolodex) of any poetry publisher in the country, FSG deserves to rack up a second win for consistent quality and vision but our heart belongs to letterpress work this year." before love made me sad. At the age of nineteen, Stone moved to Illinois with her first husband, a chemist. While living in Illinois, she met and later married the poet and novelist Walter Stone. In 1952, she moved with her husband and three daughters, Marcia, Phoebe, and Abigail, to Vassar College, where Walter Stone was offered a teaching position in the English department. At Vassar, Stone composed the poems for her first book, In an Iridescent Time (1959). 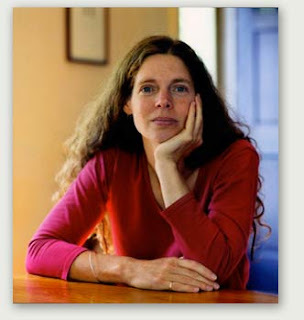 During this period, she won Poetry's Bess Hokin prize and the Kenyon Review Fellowship in Poetry. With the prize money from the Kenyon Review, Stone traveled alone to Vermont and bought a house where she could write and her family could spend the summers. Stone's life changed dramatically when, in 1959, on sabbatical from Vassar, Walter Stone moved with Ruth Stone and their young daughters to England. In England, Walter Stone committed suicide. For the next decade, Ruth Stone moved in and out of periods of deep depression and despair, and Walter Stone's life and death became a nearly constant presence in the poetry of Ruth Stone. In 1963, Stone was awarded a two-year Radcliffe Institute fellowship, and from 1963 to 1965, she worked on poems for her second collection, Topography and Other Poems (1971), and developed close ties to other Radcliffe fellows, such as Maxine Kumin and Tillie Olsen. After the Radcliffe Institute, Stone taught creative writing at many universities throughout the United States, including Indiana University at Bloomington; the University of California, Davis; New York University; and Old Dominion University. Currently she is Professor of English at the State University of New York at Binghamton. Between teaching engagements, Stone has lived in the Vermont house she purchased with the Kenyon Review Fellowship money in 1957. Known as the "mother poet" to many contemporary women writers, she is the recipient of numerous honors, including the Shelley Memorial Award (1964), two Guggenheim Fellowships (1971 and 1975), the Delmore Schwartz Award (1983), the Whiting Writer's Award (1986), and the Paterson Poetry Prize (1988). Returning over and over to the themes of loss and death, Ruth Stone's poems are ultimately emblems of survival. Combining lyricism with a poignant mix of humor and tragedy, she manipulates the emotions of her audience by opening them with laughter, then shocking them with sorrow. Stone is a feminist poet who uses poetry to boldly address the world of women and family, as well as issues such as aging, homelessness, and poverty. Interspersing astronomy, biology, physics, and botany into her poems, she calls attention to the largest and the smallest spheres, expressing the beauty of the natural world as she highlights the pathos of the human condition, and especially the female condition within the patriarchal world. In addition to Cheap (1975), Second-Hand Coat (1987), and Who Is the Widow's Muse (1991), she has published several chapbooks, including American Milk (1986), The Solution (1989), and Nursery Rhymes from Mother Stone (1992). Governor Douglas will formally appoint Stone as Vermont State Poet on July 26; we'll publish details of time and place as soon as available.